Yara Shahidi attends the premiere of Warner Bros. Pictures' "Crazy Rich Asiaans" at TCL Chinese Theatre IMAX on August 7, 2018 in Hollywood, California. Yara Shahidi looked cool wearing mismatched dangling earrings by Jenny Bird. 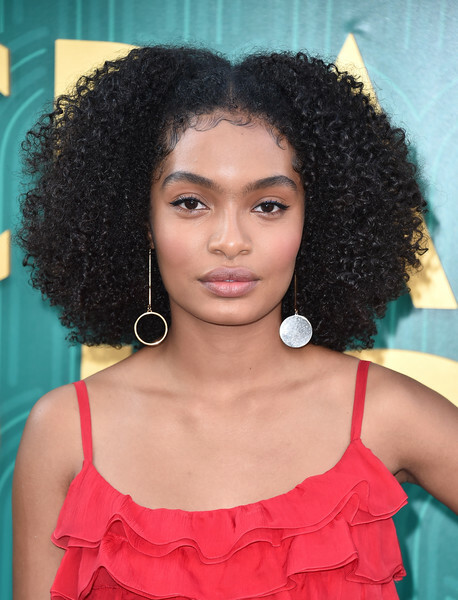 Yara Shahidi attended the premiere of 'Crazy Rich Asians' wearing her hair in a center-parted afro.